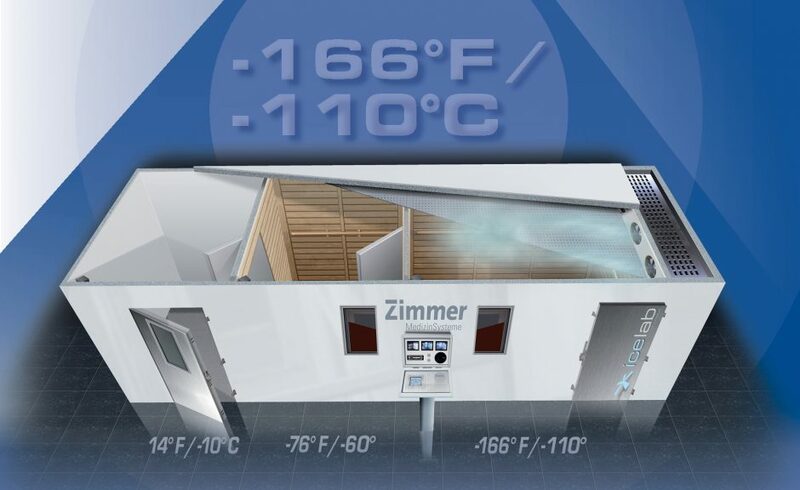 The icelab consists of three temperature chambers, set at three different levels – starting at a ‘cool’ -10 °C (-14 °F), leading though to -60 °C (-76 °F) and finally ‘the big chill’ at -110 °C (-166 °F). Before entering, some simple icelab attire is required: some underwear/swimwear, shoes with socks, gloves, a headband to cover the ears and a paper mask to cover the nose. Your extremities are comfortably protected! 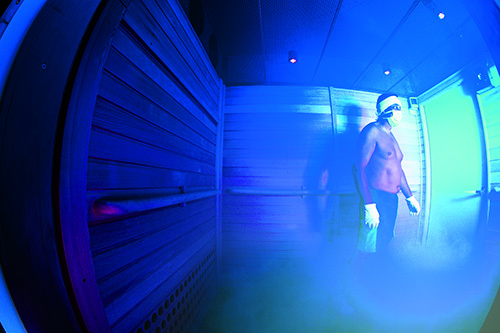 In the first two antechambers (-10 °C/-60 °C) your body quickly gets used to the cold. Any residual moisture evaporates from your skin. 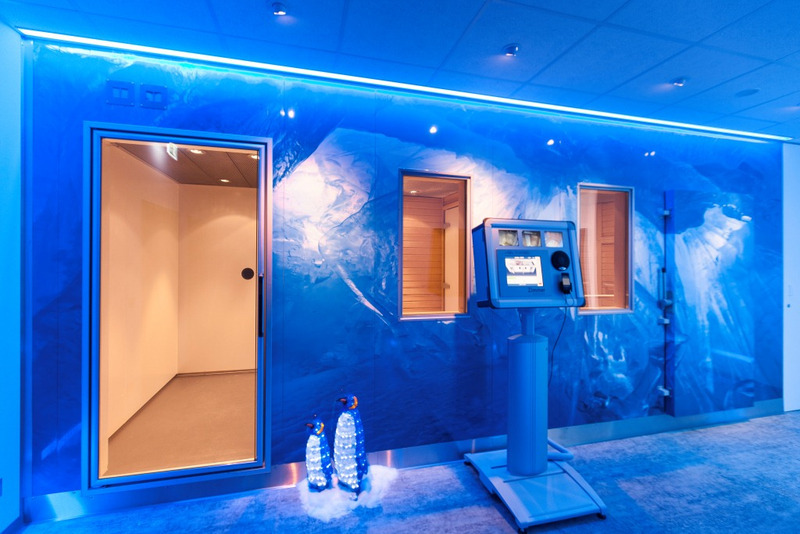 By the time you enter the -110 °C chamber, the cold – probably surprisingly – is quite bearable! This is due to the almost 0% humidity. You can remain at -110°C / -166°F from between one to three minutes. This is possible because at this temperature, the air no longer contains moisture and there are no air currents. You do not perceive the cold to be as extreme as it is. It’s not an endurance test. You can choose to spend anywhere from one to three minutes slowly walking around the room and breathing slowly through your mask. At -110 °C, the air volume shrinks by 45% compared with room temperature. This means that you inhale almost twice the amount of oxygen per breath. 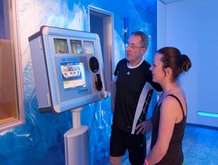 Ensuring safety throughout the experience, the icelab operator observes participants through the window. The operator can communicate with participants with a microphone. Music can even be played into the chamber. On exiting the icelab, a pleasant tingling sensation may be felt on the skin, along with a big kick of adrenaline. Before long, a sense of deep relaxation will set in.